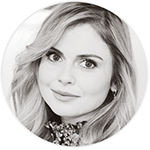 Rose McIver Source is currently paparazzi free. This means that no gossip related news or photos of Rose in her personal life will be posted on this site (unless it’s a statement that has been issued by Rose herself). Anything that invades Rose’s privacy will not be found here. Images on the set, behind the scenes, her official events, photoshoots, screencaps and everything LEGAL will be posted here. We respect Rose’s privacy and we encourage all fans to do the same. I am proud to become a paparazzi and gossip free fansite and I hope that all of you will support this decision.